This season, the same formula applies as in previous years. The stallion competition has three competition rounds across the country and a final at the KWPN Stallion Show in 's-Hertogenbosch. A unique opportunity to see young KWPN stallions compete against their peers. The first competition leg will take place on November 19 (dressage) and 20 (jumping) at the Equestrian Center de Peelbergen in Kronenberg. In recent years the final evening of the stallion competition dressage was a long session due to the large number of stallions that participated in the finals. Many tests followed one another during the evening. At the KWPN Stallion Show early next year, we will still see a lot of young, promising stallions, but in a slightly different way. Most of the stallions that qualified for the finals of the Anemone Horse Trucks Stallion Competition Dressage will be shown in a clinic. Several stallions present themselves at the same time and show their qualities under their rider. The stallions are all commented on, giving you as a spectator a good idea of these stallions. The very best finalists do a final test and they have a chance to win the stallion competition. Besides the clinics, there is also the old-fashioned competition for the highest honour in the stallion competition dressage. The very best stallions who have qualified will compete with each other. In the L and M classes, 33% of the finalists (with a maximum of six) are allowed to compete in the final test and in the Z class and higher the best two combinations ride the final test. 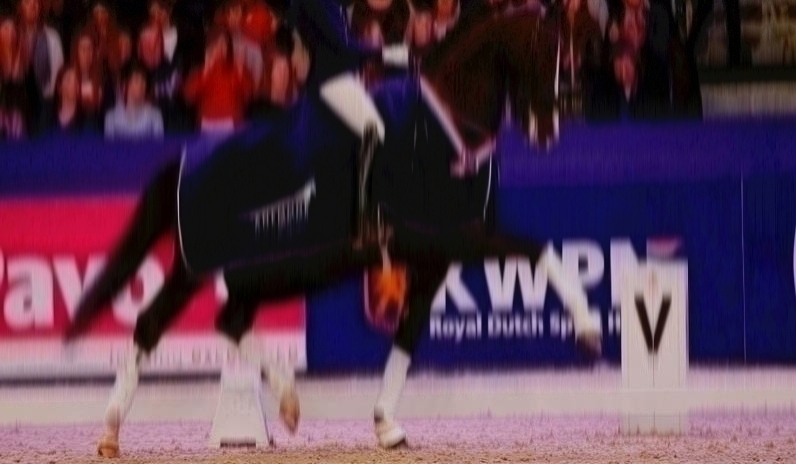 This way, the audience will be able to see all the finalists of the Anemone Horse Trucks Stallion Competition Dressage, but now in clinics and tests alternating. In addition to the completely renewed concept of the final, a few other adjustments have been made. During the competitions in the M class, as well as in the L class, a maximum of two combinations will be in the arena at the same time. The stallions that participate in the Anemone Horse Trucks Stallion Competition Dressage at the highest level will be doing a Prix St. Georges-test this year instead of a test at Inter I-level. This test is judged according to the protocol of the stallion competition. Finally, in the assessment protocol 'talent as a dressage horse' has been replaced with 'total impression'. The latter better reflects what impression the horse has left on that day.